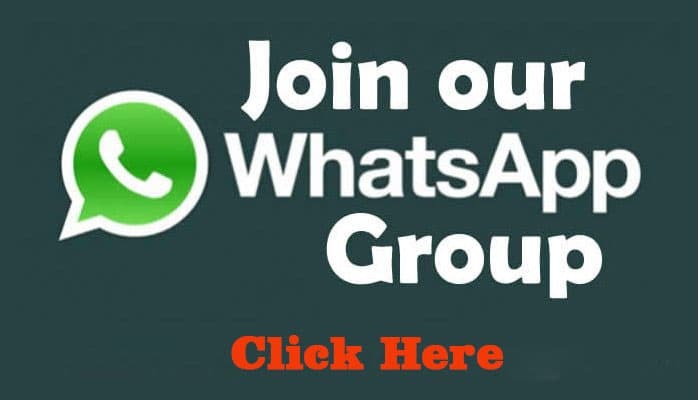 In this Section we provide Diploma in EEE Sixth Semester Board Exam October 2018 Question Papers. 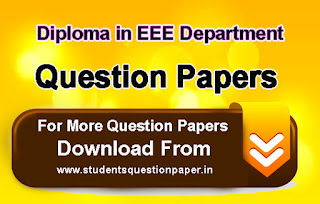 Tags: Diploma EEE Sixth Semester Question Paper, Diploma Board Exam Question Papers, EEE Department Questions, Electrical Department Question Paper, Engineering Question Papers, Polytechnic Question Paper, Polytechnic EEE Department Question Paper, Electrical and Electronics Engineering Department Question papers, Diploma in Electrical and Electronics Engineering Third Year Question paper, dote, Polytechnic Electrical Department Question Paper, tndte, Diploma EEE Question Paper, Tamilnadu Diploma EEE Question Paper. 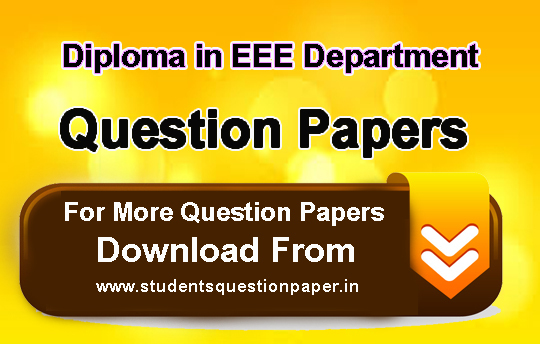 Tamilnadu Diploma Electrical and Electronics Engineering Question Paper.